"If a child can’t learn the way we teach, we should teach the way they learn"
"We completed our end of year reading assessments last week and the student did fantastic! He ended the year on grade level in all areas of reading! Thank you so much for working with us here at school. I am so proud of his progress. Even his attitude towards learning has changed drastically!" While we specialize in helping children with dyslexia and other Learning Disabilities, we welcome any child who isn’t experiencing success through regular teaching methods. Our tutoring is one-on-one and personalized to the exact needs of your student. We use multi-sensory, evidence-based techniques that have been proven successful. Tutoring sessions are done in a caring and relaxed environment. 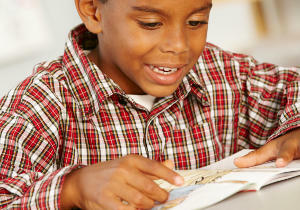 We use games and other strategies to keep your child engaged in the lesson and actively involved in the process. Our goal is to not only teach your child academic skills, but to help them experience success and rekindle their love of learning. Research has shown that when a child is engaged in learning, they develop confidence in their abilities and are more likely to become life-long learners. Bright Minds Tutoring has been amazing for our child. April Coggins consistently goes above and beyond the call of duty by working directly with the teacher to create a program that is best suited for our child. She makes the tutoring sessions fun and enjoyable to where our child looks forward to the tutoring sessions! Thank you so much April! I am so glad we found Bright Minds Tutoring!